MIAMI, Sept. 25, 2017 /PRNewswire/ — In another first for the travel industry, Carnival Corporation & plc (NYSE/LSE: CCL; NYSE: CUK), the world’s largest leisure travel company, today announced it is launching OceanView – the world’s first over the top (OTT) digital streaming channel from a travel provider for completely free access on land and at sea to compelling, immersive and experiential travel content for viewers across the globe. 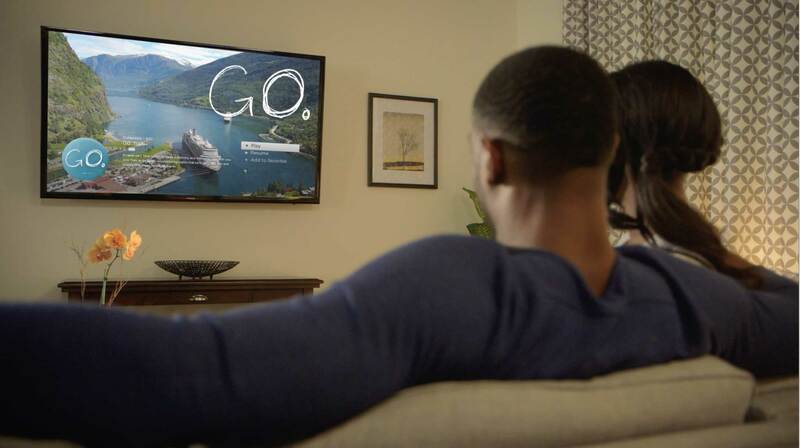 Original shows from Carnival Corporation’s OceanView channel are now available on major digital streaming platforms Amazon Fire TV, Apple TV and Roku. Additionally, as the world’s largest cruise company with nine iconic cruise line brands such as Carnival Cruise Line, Cunard, Holland America Line and Princess Cruises, OceanView will also debut on more than half of its 103 cruise ships. 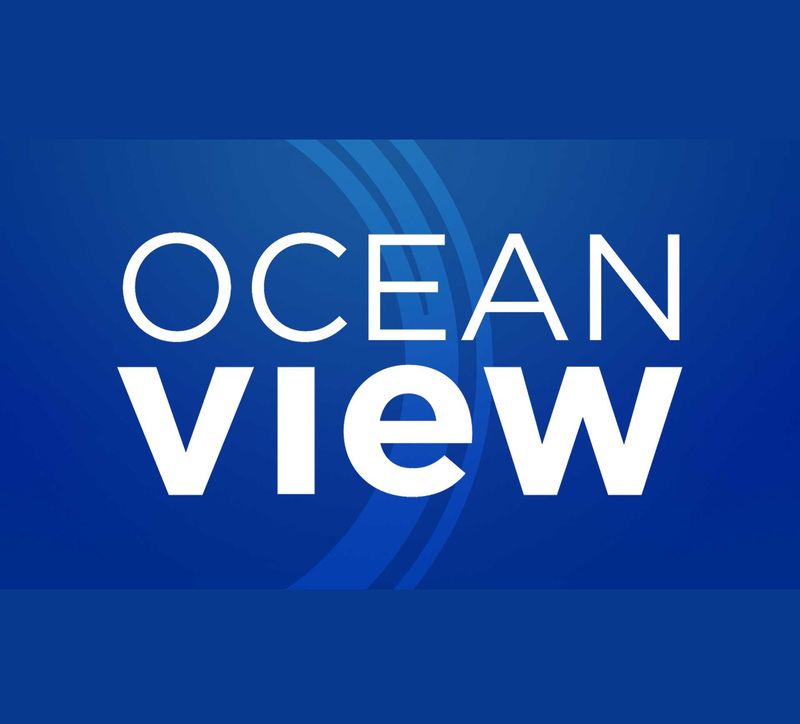 OceanView content also will be available in late October on the company’s Ocean.com website. OceanView also will showcase video collections from the corporation’s cruise brands, with viewers able to check out majestic new-ship christening ceremonies featuring royalty and celebrities, as well as the fascinating process of ship design and construction, elaborate culinary creations from world-renown chefs and ever-evolving, pushing-the-envelope ship attractions. 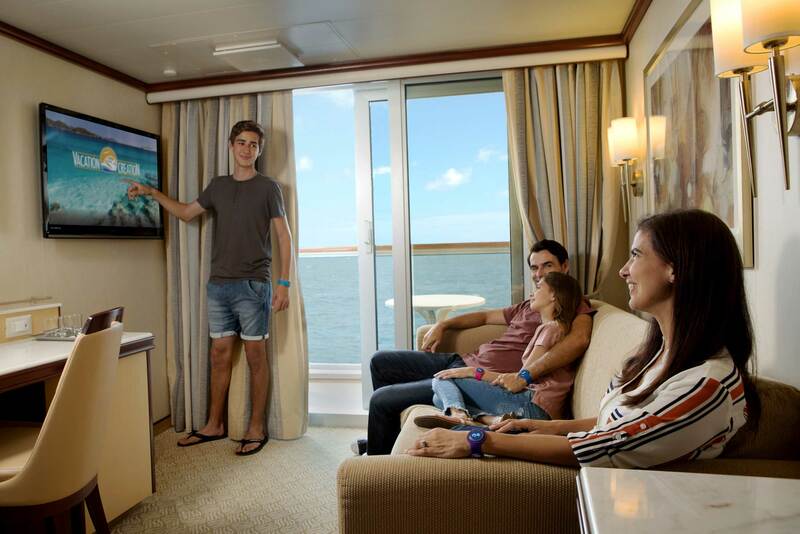 Carnival Corporation will celebrate the official availability of OceanView on Thursday with an event in Times Square that synchronizes multiple digital billboards to showcase the new streaming channel, as well as an activation center where people can learn more. The company will also use the event to demonstrate its new PlayOcean interactive gaming platform – also unveiled in an announcement from the company today – including two new mobile apps and onboard, location-based experiences for guests. OceanView is another innovation built upon the company’s O·C·E·A·N Experience Platform, unveiled in January at the CES 2017, that will enable a new higher level of personalization in the media, games and vacation experience. The collective innovations tap into the growing interest in digital entertainment, immersive experiences and personalized interaction to expand the market for more popular-than-ever cruise vacations. Carnival Corporation’s original TV series, which debuted in fall 2016 and are now available on OceanView, recently were honored with 10 Telly Awards, which recognize the best in TV and cable, digital and streaming, and non-broadcast productions. The programs are part of the company’s larger strategy to increase awareness and demand for cruise vacations through the creation and broad distribution of compelling and authentic experiential content. Three shows were ranked as number one or number two in their time slot during their inaugural season. With cruise vacations growing 20 percent faster than land-based vacations and with more people than ever taking cruise vacations in 2017, the strong ratings are further evidence that global interest in cruise vacations is becoming more and more popular. “Ocean Originals” use compelling and authentic storytelling to share the powerful way travel by sea connects people, places and cultures by showcasing exciting adventures, exotic cultures and popular global destinations. Ships from all nine of the company’s cruise line brands ­- Carnival Cruise Line, Holland America Line, Princess Cruises, Seabourn, AIDA Cruises, Costa Cruises, Cunard, P&O Cruises (Australia) and P&O Cruises (UK) – serve as the platform for engaging and emotional experiences, and each of the company’s brands are featured in at least one of the episodes. As part of its move into global digital content, the company announced it has created two additional direct-to-digital platform series – “GO” and “Local Eyes.” Shows for each direct-to-digital series run 10 minutes commercial-free, feeding a growing interest for shorter, “snackable” content, with episode collections that will be released periodically. With visually stunning cinematography, “GO” chronicles the artist and explorer Trek Thunder Kelly as he travels the world by ocean in search of his next exotic destination. Through his passion for authentic experiences and ability to strike up a conversation with fellow travelers, viewers are transported to new and interesting places, and introduced to extraordinary people who live there, creating epic adventures that provide inspiration for everyone to get off the couch and travel near and far. From Trieste to Curacao and Cabernet to Moko Jumbie, “Local Eyes” introduces viewers to unique destinations through those who know each destination the best – local residents. Hosted by dynamic world traveler Anji Corley, “Local Eyes” immerses viewers into the authentic side of each destination, as Corley interacts with everyday people living in each destination who share compelling stories about local culture, history, places off-the-beaten path and more. Viewers will see destinations in a whole new light after watching Local Eyes. In addition to these two new series, OceanView features programs from the company’s O·C·E·A·N (One Cruise Experience Access Network(TM)) original content portfolio that includes “Vacation Creation” (ABC), “Ocean Treks with Jeff Corwin” (ABC), “The Voyager” (NBC) and “Good Spirits” (A&E Networks) ­- four weekly series that debuted on network and cable TV within the past 12 months with programs. 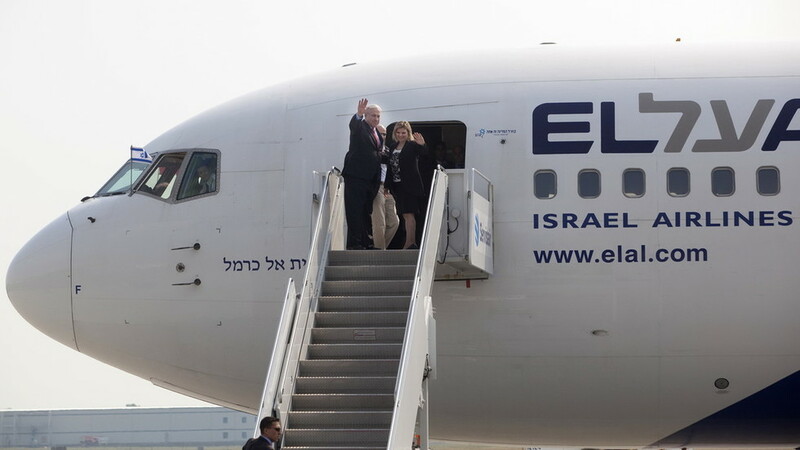 The second seasons of the company’s three network series begin this week. “Ocean Treks with Jeff Corwin” follows Emmy-winning host Jeff Corwin as he embarks on adventures in some of the world’s most exciting destinations, such as rappelling down cliffs, flight-seeing to glacier landings, mountain climbing in a national park and zip lining through a rainforest. The show broadcasts nationally as part of the Daytime Emmy-winning block Weekend Adventure, a three-hour programming block airing Saturday mornings on 98 percent of the country’s ABC affiliate channels, and begins its second season on September 30. “Vacation Creation,” featuring “In Living Color” star and comedian Tommy Davidson and YouTube celebrity Andrea Feczko as hosts, goes beyond the typical travel show by personalizing vacations of a lifetime for couples, individuals and families facing hardship, in need of hope or seeking much-needed time together. The series aired during its first season as part of The CW’s “One Magnificent Morning” Saturday morning block. The show moves to ABC stations for season two which begins September 30. “The Voyager with Josh Garcia” follows video journalist and world-traveler Josh Garcia as he goes off the beaten path in fascinating seaside ports to meet locals who share their rich history, life stories and exotic foods, and introduces viewers to the hidden beauty, cultural diversity and amazing flavors native to each destination. The program airs as part of NBC’s three-hour programming block that extends the network’s “The More You Know” brand with inspiring stories on NBC stations throughout the country on Saturday mornings. “Good Spirits” joins pioneering cocktail chef Matthew Biancaniello as he sails the globe on the company’s world-leading cruise lines in search of extraordinary everyday people, sharing the stories of spirits and collecting farm-fresh, native ingredients to inspire one-of-a-kind cocktail creations. The first season of the show aired on A&E and FYI. In 2017, Fast Company recognized Carnival Corporation as being among the “Top 10 Most Innovative Companies” in both the design and travel categories. Fast Company specifically recognized Carnival Corporation for its work in developing Ocean Medallion(TM), a high-tech wearable device that enables the world’s first interactive guest experience platform capable of transforming vacation travel into a highly personalized and elevated level of customized service.